The information presented on this page was originally released on January 16, 2015. It may not be outdated, but please search our site for more current information. If you plan to quote or reference this information in a publication, please check with the Extension specialist or author before proceeding. RAYMOND -- For brides who want to shed a few pounds before their big day, nutrition experts recommend proper planning, not fad diets. The healthiest way for people to lose weight is to reduce their caloric intake and increase their physical activity, Fountain said. He suggested three important steps to help brides. First, brides should consider the amount of time available to lose weight and set realistic goals. Second, they should record the amounts and types of food they eat to help determine where they can cut calories. Finally, they should be accountable to themselves in terms of progress. A simple food journal or smartphone application can help brides keep up with daily intake. There are several strategies to help brides stay focused and remain accountable. Alma Harris, county coordinator with the MSU Extension Service in Washington County, said brides should use an accountability system that works for them. 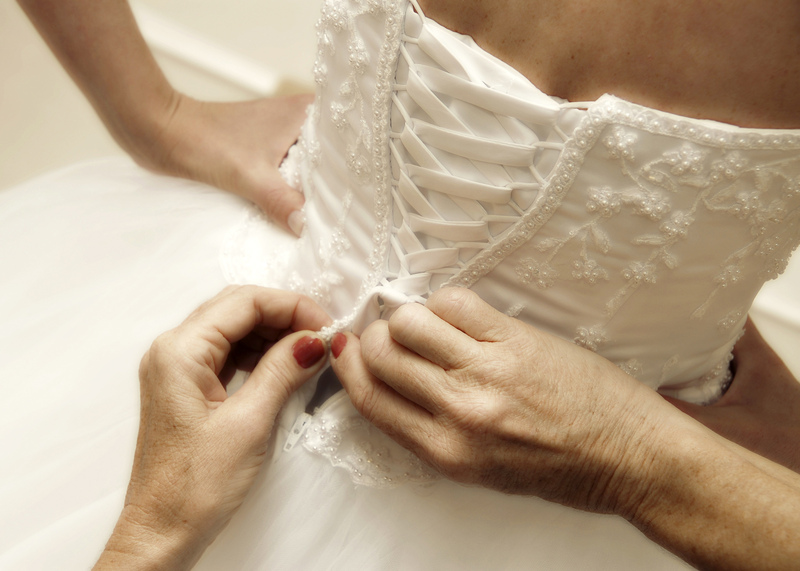 “There are several strategies that can help brides stay focused,” Harris said. “Place a photo of the wedding dress on the mirror or refrigerator as a reminder of the end goal. Choose a weight loss partner with which to exercise and prepare and share meals. This could be your mom, a bridesmaid or fiancé. “Commit to take an exercise class at a local gym by paying for classes in advance. Set up a reward system for each goal met, such as buying yourself a much-wanted item each time you meet a goal,” Harris said. If cutting calories alone seems difficult, adding or increasing physical activity can help supplement calorie reduction. “A bride whose goal is to lose two pounds per week can reduce the food budget by 700 calories a day and add enough physical activity to burn 300 calories,” Fountain said. People also might consider restructuring meals and snacks. Fountain recommended eating the largest meal of the day at breakfast or eating moderate amounts of food throughout the day. Fountain suggested people eat balanced meals consisting of a lean protein, vegetables, fruits, whole grains and low-fat dairy products. Stress can prompt mindless eating for some, but awareness and preparation can help reduce or stop this behavior.